Help in Love There are 2 products. 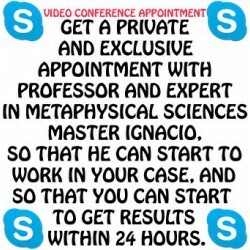 Get psychic help to improve your, and your love ones, love life. Cast Love Spells that last for life. 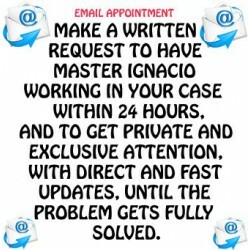 Bring back your love one, help love in confused times, find true love, keep love alive... Get a Skype appointment today and start getting results within 24 hours after Master Ignacio begins to work in your case.